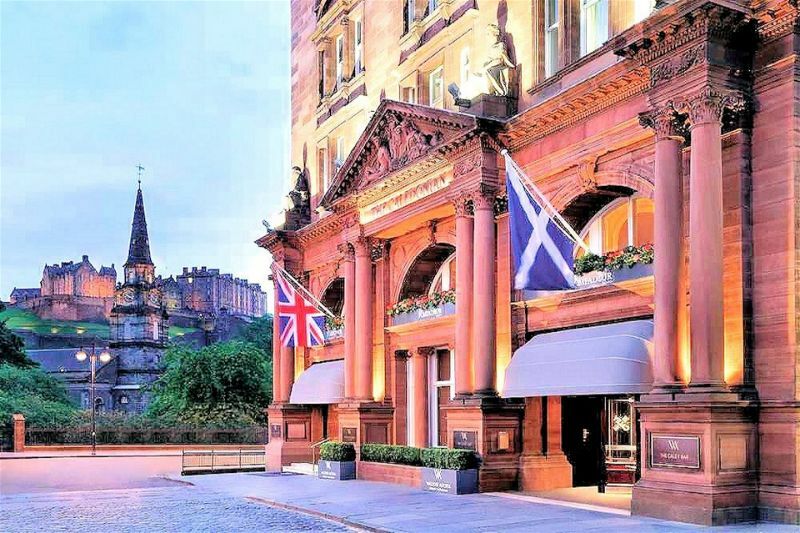 The Waldorf Astoria Edinburgh, also known as the Caledonian is an iconic hotel situated on the famous Princes Street. The hotel offers views of Edinburgh castle and is the perfect location to explore Edinburgh’s sights. 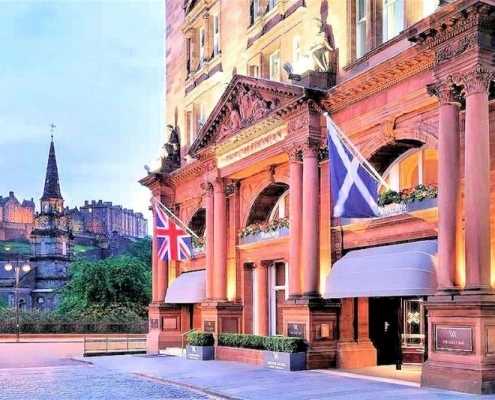 The lavish accommodation offers you space to truly relax in the city of Edinburgh. If you really want to treat yourself why not book a suite and enjoy both additional space and that extra touch of class. With plump pillows and luscious mattresses, you’re guaranteed the most sumptuously relaxing night’s sleep. The Guerlain Spa and Health club at the Waldorf Astoria Edinburgh offers the height of luxury amongst the bustling streets of Edinburgh. 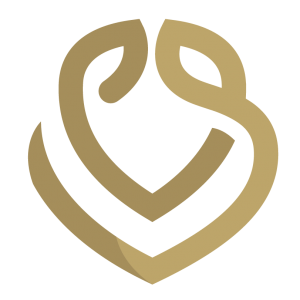 The spa was awarded best luxury Hotel Spa in the UK in 2017 and utilizes the methods and products of Guerlain. The Spa experience begins with a personalised fragrance journey where coaches will conduct a skin analysis in order to determine the nature of the fragrance. Your robes and linen will all be infused with the chosen fragrance to seamlessly guide you through the spa journey. The list of spa treatments are extensive and created especially for the Waldorf Astoria Edinburgh. The spa is designed to relax the body, mind, and soul to ensure you enjoy the most relaxing of experiences. Galvin Brasserie De Luxe – The Galvin Brasserie is inspired by French design and boasts an all-day dining experience within the city centre. The luxurious décor eludes glamour with the rich use of wood and ceramics. Why not enjoy a Sunday Roast or taste the delicacies from the a la carte menu. The Pompadour by Galvin – Enjoy elegance and sophistication at this banquet style restaurant. This gorgeous restaurant blends elements of old and new to create the perfect dining experience. Peacock Alley – Why not enjoy a catch up over a cocktail in the Peacock Alley. This social hub of the hotel is great for informal corporate meetings or treating yourself to an afternoon tea. The Caley Bar – The Caley Bar exudes elegance whilst offering a warm and inviting ambiance. Breakfast Brasserie – Enjoy the most important meal of the day in the chic Parisian style restaurant and start the day right. Whether you opt for a light start or full breakfast there’s something to enjoy. 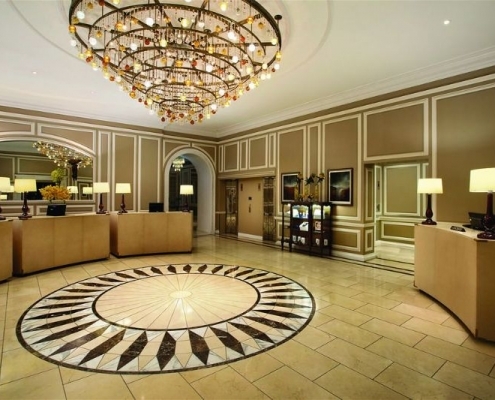 For the most perfect of wedding locations, the Waldorf Astoria provides luxury at its finest. 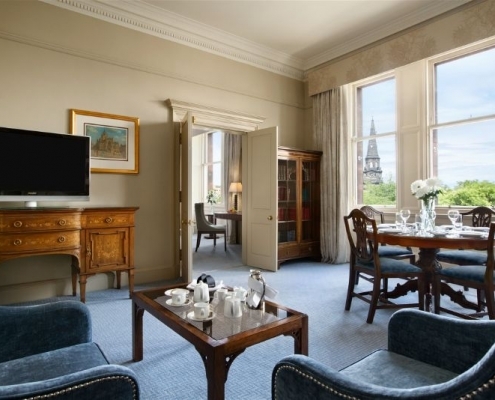 The castle suite offers views over Edinburgh castle in an ornate room. Make an entrance on the grand staircase or dazzle your guests in front of the amazing stained-glass windows. The events team at the Waldorf Astoria Edinburgh are at bay to offer the most idealistic of days. 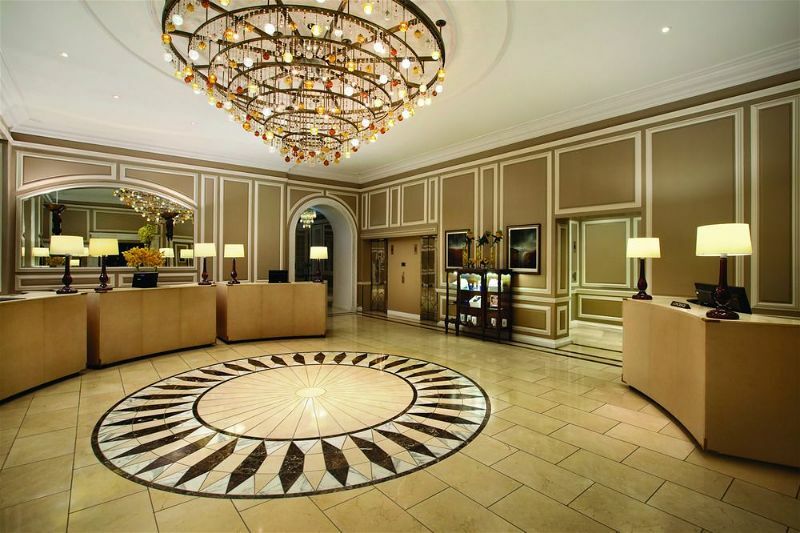 For all of your corporate and private event needs the Waldorf Astoria offers simplicity and sophistication. Why not wow your guests with a banquet or tasteful dining? The Waldorf Astoria Edinburgh is a true gem of sophistication providing only the highest quality of service to make you feel special. 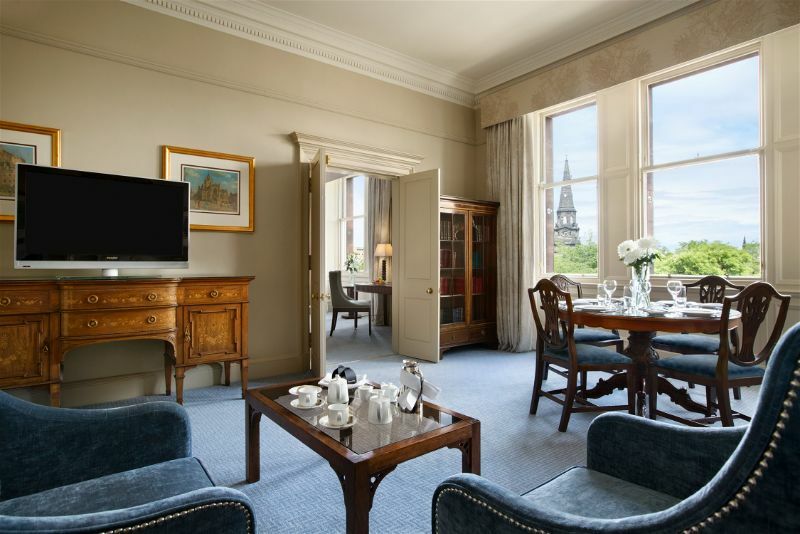 With such an array of extravagant rooms and restaurants, you’ll be sad to check out of this luxurious Edinburgh hotel.